I actually think this will be fun. I think it is really bad implented. Seriously, i expected some really cool PVE scenario, and all they did is wave after wave after wave of ships... numbers win, PUG do not. Not gonna bother anymore with this bullcrap. Yeah, sign me up I really love these old ships ! I hope that one day we can get a clan and hopefullu clan wars with only dreadnoughts. I would really love that ! The new repair flat is bullcrap! 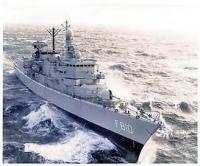 Share your opinion: Is World of Warship now unpleasant to you too ? Any idea when i can purchase this beauty for my collection of Premium ships ?? Is it just me or have "uber losses"/"uber victories" become more common? Plus 1 for above post !